Nick Keen works the night shift Sunday to Thursday, 8 pm to 4:30 am. His schedule is busy. Between his career and spending time with his wife and two daughters, the balancing act is a tough regiment. By the time Nick gets home from work in the wee hours of the morning, sleep is the last thing on his mind. Growing up, Nick stayed active any way he could. While living in Florida, he played on a local little league team, but mostly made due with what he and his friends had. This often took the form of an empty parking lot. It was on the blacktop where Keen first fell in love with the sport. Keen moved to Virginia when he was 12 and has lived all over the state from New Market, to Broadway, to Timberville and finally Harrisonburg, where he has lived for the past six years. Nick heard of HLLA after his daughter brought home a flyer from school. 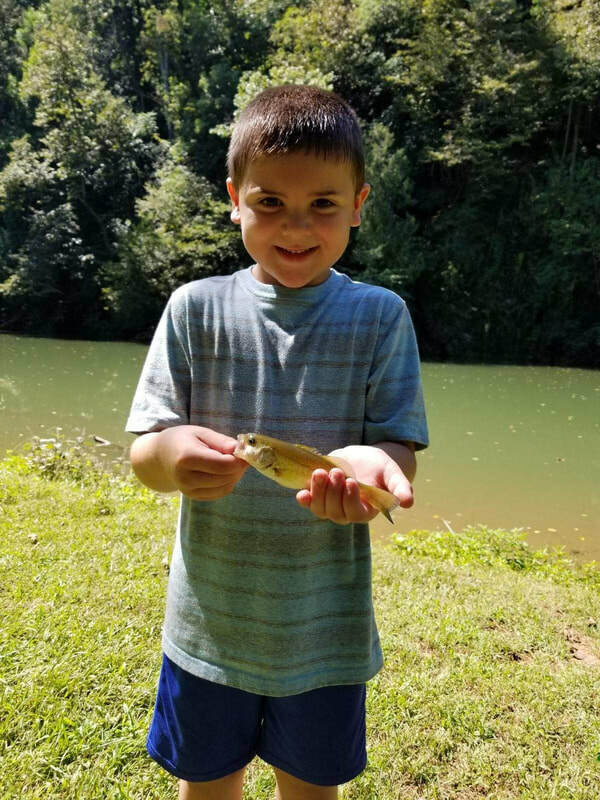 Knowing she was already involved with gymnastics, Keen instead turned toward his nephew, Brantley, with an offer that was too sweet to pass up. Brantley Griffith is six years old and will play his first season with HLLA on a Sandlot Tee-ball team. With a digital age, many parents are concerned that games, such as Fortnite, keep kids indoors. But Keen finds that this is not the case for his daughters or his nephew. The routine has quickly become an opportunity for the whole family to come together. For Nick, he puts in the time because of what he got out of the sport when he was younger. As you drive through town it’s hard to miss one of HLLA’s roadside ads. This is how Chris Pipkins was first introduced to the league. He is a local by all accounts. He attended JMU for grad school in the early nineties and returned to Harrisonburg in 1997, where he has lived ever since. Chris enjoys baseball, and he himself played up through the seventh grade. Though for Chris, it was always more of an activity rather than a vocation. For Chris— while an Orioles fan— he is involved with the league, first and foremost because of his son Lennox. Lennox Wright-Pipkins is six years old, and has fallen in love with America’s favorite pastime. 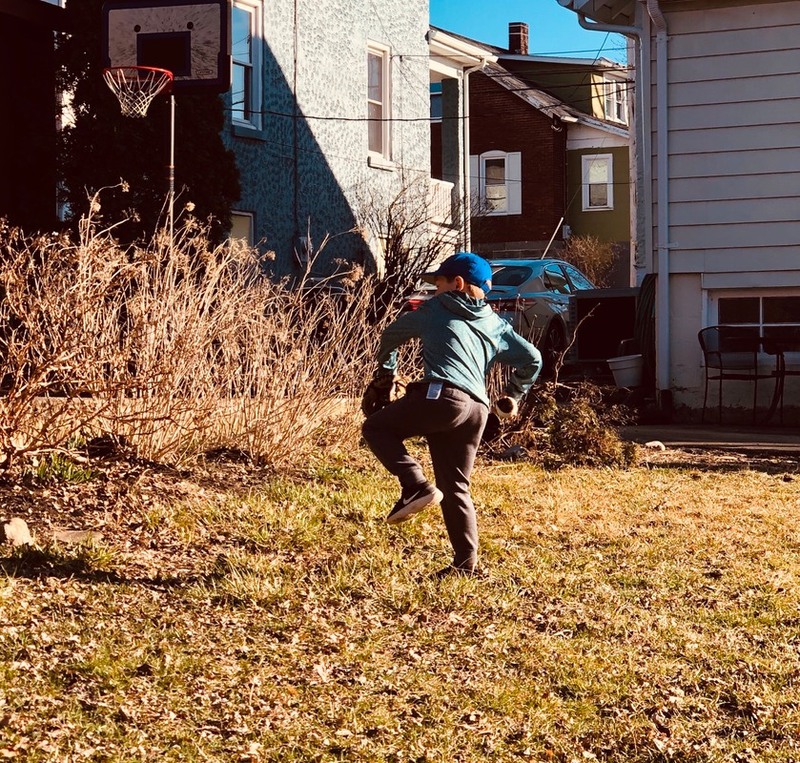 “We would play baseball out in the yard and he seemed to like it. Then I took him to an Orioles game and that’s when he seemed interested in playing on a team,” said Pipkins. When the league needed another set of hands on the field, Chris stepped up to serve as an Ad Hoc coach. Contrary to popular belief, the league is not made up of all veteraned coaches. In fact, what it often needs most is just that extra person to step up. “They needed another dad to work with one or two kids. I was there, and I happened to have my glove with me. I wasn't pressured or obligated, I just saw that there were 900 people at Opening Day, but not everybody got to be on the field. I felt useful when I showed up,” said Pipkins. 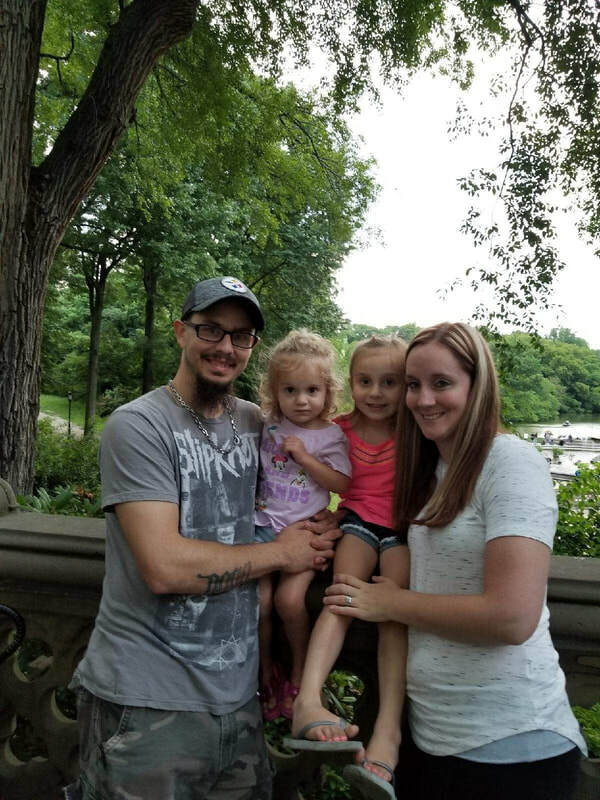 As HLLA gears up for the 2019 season, Chris is optimistic about the future of parent involvement. “I think there's a lot of events that provide opportunity for the community to come together,” he said. 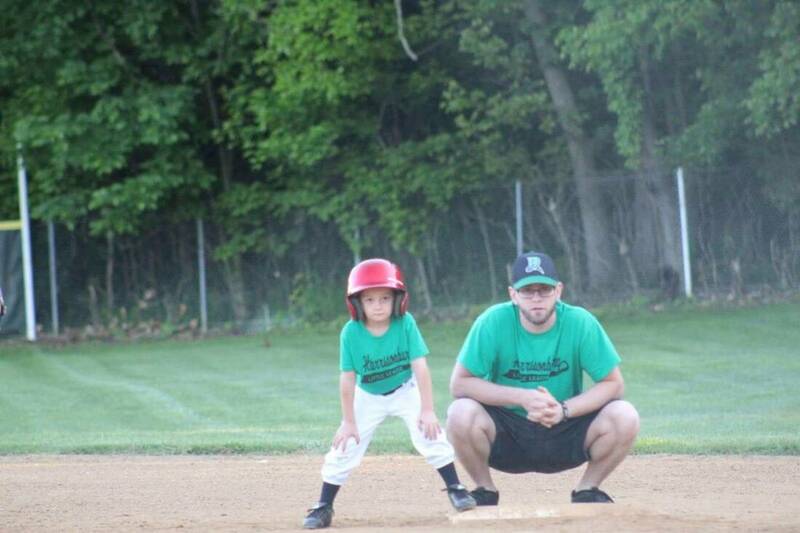 Jared Dull is both a parent and a volunteer coach with the Harrisonburg Little League Association. Dull balances supporting his players while working full time, serving as a longtime member of the Harrisonburg community. Born in Staunton and raised in Harrisonburg, Dull played on little league teams up until he went to Harrisonburg High School before graduating in 2004. Jared Dull shares his joy for the game with his three children, Troy, Charlie and EJ. His son Troy is starting his fourth year with HLLA. “He had a bat in his hand before he was two years old,” said Dull. He believes baseball offers important values and lessons on teamwork that other sports simply cannot imitate. “It's the best team sport I know of, because it requires everyone to come together. So I tried to make sure my sons had a similar experience to what I had growing up.” Both Charlie and EJ are entering into their second year with the HLLA. (L to R): Troy Dull and Jared Dull. The recipient of a local “Little League World Series” trophy, Dull cherishes his memories of playing for the Minnesota Twins. To this day, he stays in touch with many of his old teammates, some who went on to play at the collegiate level for programs such as Virginia Tech. (L to R): Brooke August, EJ Rabideau, Charlie Rabideau, Troy Dull and Jared Dull. While his role as a dad brought him back into the league, he explained how local community members can support the league regardless of if they have children who play. “My team sponsor doesn’t have kids but is invested in baseball. There is no better way to serve than to serve your local community, all while getting your name out there,” he said. HLLA players are ready to be introduced at the opening day ceremony in 2016. ​The Harrisonburg community is a wonderfully supportive one. That’s exactly why the Harrisonburg Little League Association (HLLA) has a consistent group of volunteers that have no children or no stake in the league volunteer. They want to show their support and their pure love of the game and the children in the league. That volunteer group would be delighted to take on a few more sports lovin’ citizens—especially parents! 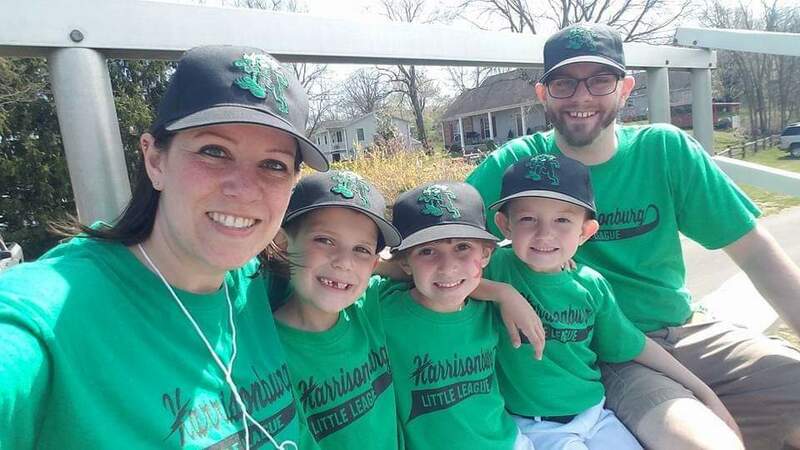 How do the Harrisonburg Little League Association and the Harrisonburg community team up to finance their love of the game? It’s not easy to pitch a perfect game. However, a little teamwork and a lot of dedication can make anything possible. 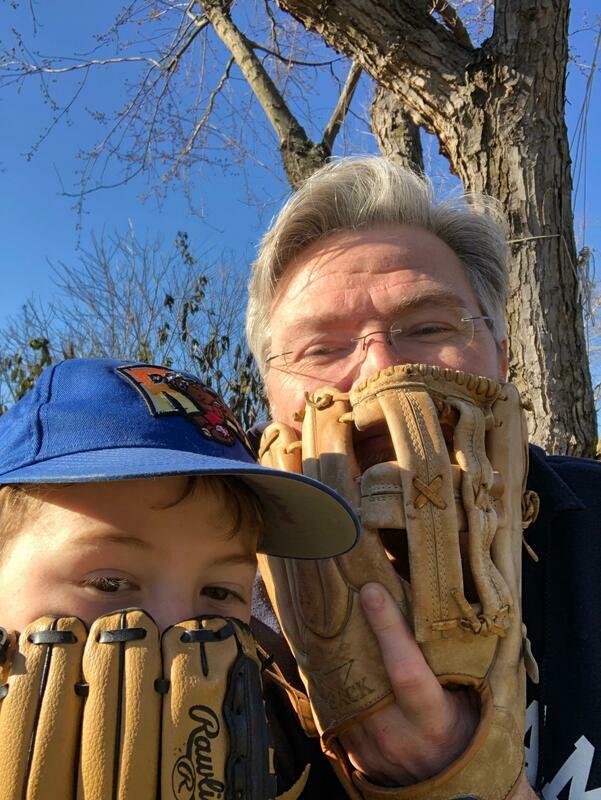 That is exactly how the Harrisonburg Little League Association and the Harrisonburg community team up to fund the local children’s love of baseball and softball. In 2015, roughly $60,932 was needed to fund all 28 of the Harrisonburg Little League teams. This money goes toward uniforms, supplies, league support, umpires, and funding for team members whose families can’t afford the registration fees. HLLA Story is an official blog site of the Harrisonburg Little League Association. All contents are managed by the Bluestone Communications, a student-run public relations agency at James Madison University. Please contact Kevin Leaven (leavenkl@dukes.jmu.edu), an account executive of the Bluestone Communications., if you have any questions about the blog or the stories.